Falafel, hummus, babaganoush, Israeli salads and pita sandwiches are the specialties at this casual office-building basement shop. 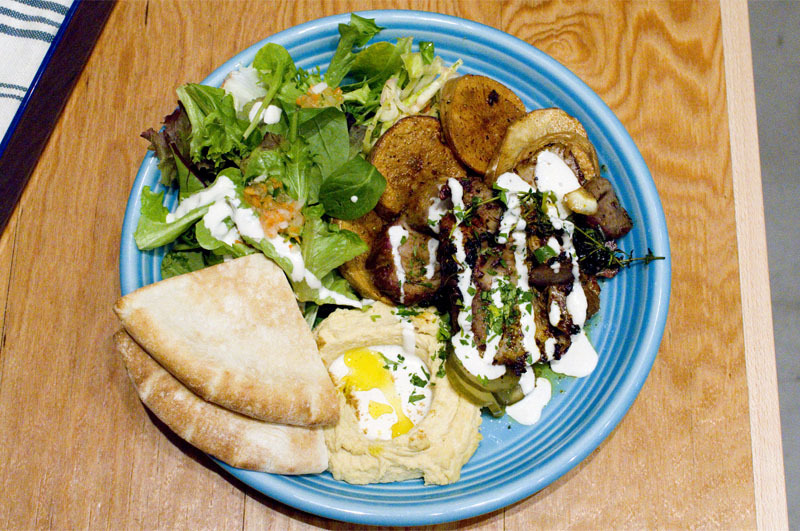 Lunches come with soup plus either a pita sandwich or platter with falafel, schnitzel, chicken or lamb. The lamb platter is particularly recommended – it’s built around a hefty slab of tender roast lamb, accompanied by cole slaw, baby-leaf salad, very soft roast potatoes, hummus, pita bread and Ta-im’s excellent home-made vegetable soup.